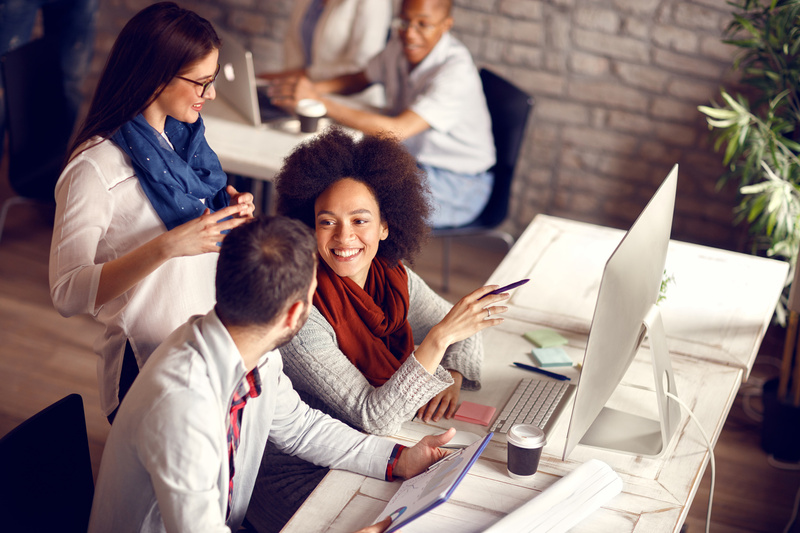 Everyone wants to be happy at work, and increasingly, employees are valuing a positive work environment even above a high paycheck. If your employees aren't performing the way that you want them to, it could be due to a lack of morale. Employees that don't feel valued will have a hard time getting motivated to work at the highest level they are capable of. Even if you are happy with your production, every boss can benefit from knowing how to boost employee morale and motivation. Happier employees are more motivated, and will also feel more loyal to your company. They'll be more likely to stay in their jobs longer, and to refer top talent for open positions. Read on for ideas on improving your employees' morale, without raising their salaries. It can be hard to feel motivated if you aren't sure why you're doing exactly what you do. Employees don't want to feel like they're wasting their time with busy work. They want to know that what they do on a daily basis makes a difference overall. Talk to your employees about the bigger picture of what your company does and what you are trying to accomplish. Find a way to let each employee know how what they are doing connects to the company's overall mission. If they understand that even the smallest tasks are important, they'll be more motivated to finish each assignment with pride. If you want to know how to boost employee morale and motivation at work, start by recognizing who your employees are outside of work. Incorporating wellness management into your worksite is a way to recognize your employees as complete people. Offering wellness programs like on-site yoga or fitness consultations sends an important message that you want your employees to take care of themselves. It also gives them a chance to take a break during the day, and they'll return to their work refreshed. Even employees who take personal pleasure in their work enjoy being appreciated for their efforts. Recognizing the accomplishments -- both large and small -- of your employees shows them that their hard work is truly valued. During company-wide staff meetings, take a few moments to recognize successes that your employees have achieved. You should also try to reach out on a day-to-day basis, sending a brief email or stopping your employees in the hallway to say thanks. It doesn't have to be a grand gesture, but a little appreciation can go a long way to an employee is genuinely working hard. Want to Learn More about How to Boost Employee Morale and Motivation? Depending on the size and structure of your office, there are a lot of different ways you can approach employee morale. You want to recognize your employees in a way that they'll truly appreciate -- not just whatever is easiest for you. To learn more about how to motivate your employees and improve overall productivity in a way that works for everyone, please contact us today.